This is just a small sampling of various thermocouple configurations available from ISE. Sizes shown below are typically in stock for immediate shipment. Mechanical configurations are almost limitless with our custom manufactured thermocouples. 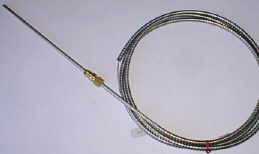 Probe Diameter: 3/16", Length = 6"
General purpose type J, Straight Probe Style Thermocouple. Brass 1/8" NPT Compression Fitting is Included. 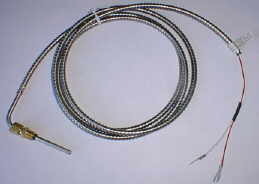 Leads are protected with stainless steel flexible armor. Probe Diameter: 3/16", Length = 12"
Probe Diameter: 3/16", Length = 3.5"
General purpose type J, 90 Degree Probe Style Thermocouple. Brass 1/8" NPT Compression Fitting is Included. 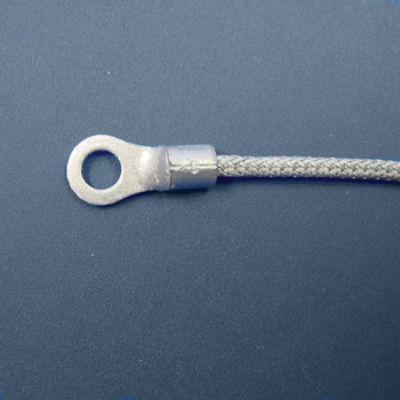 Leads are protected with stainless steel flexible armor. 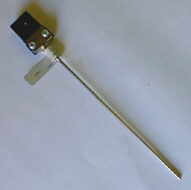 Probe Diameter: 3/16", Length = 4"
General purpose type J, 90 Degree Probe Style Thermocouple. 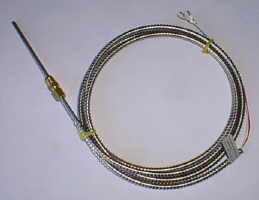 Leads are protected with stainless steel braid. 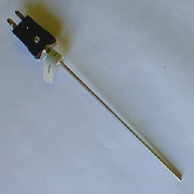 Probe Diameter: 1/8", Length = 6"
General purpose type J, Straight Probe Style Thermocouple. Quick Connect Plug or Jack as Noted. 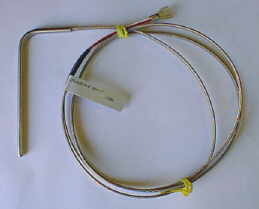 Washer Style, Type J Thermocouple. 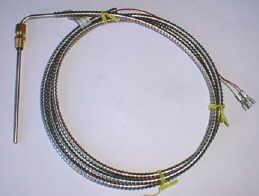 Leads are protected with stainless steel braid. Use for suface temperature measurement.